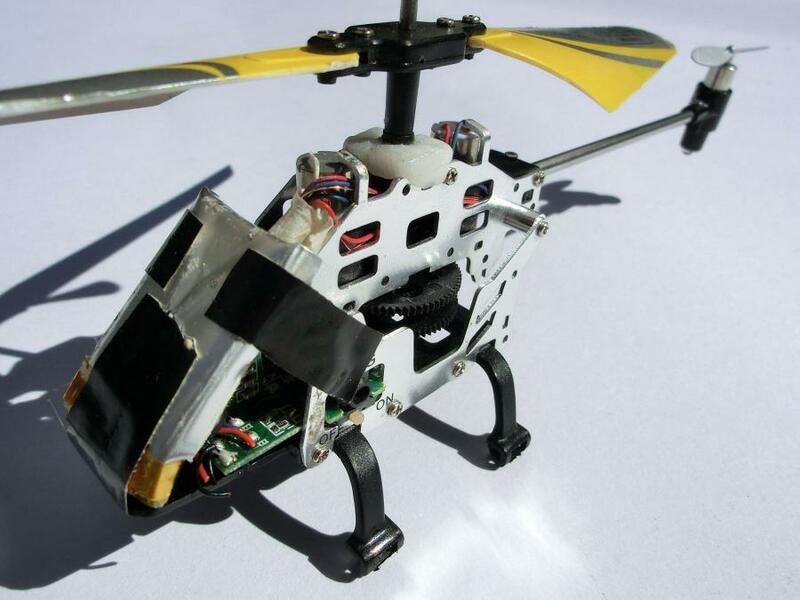 We used a tiny piece of Plastimake and some gaffer tape to repair this remote controlled helicopter. The problem was that the plastic component holding the vertical mast in place had cracked, causing it to wobble uncontrollably. We replaced it by forming warm Plastimake around the mast. Once it had cooled we added a drop of superglue to make sure it never comes off. It's now really solid. The gaffer tape was a simple addition to hold the battery in place. The final result isn't very glamorous, but it flies!